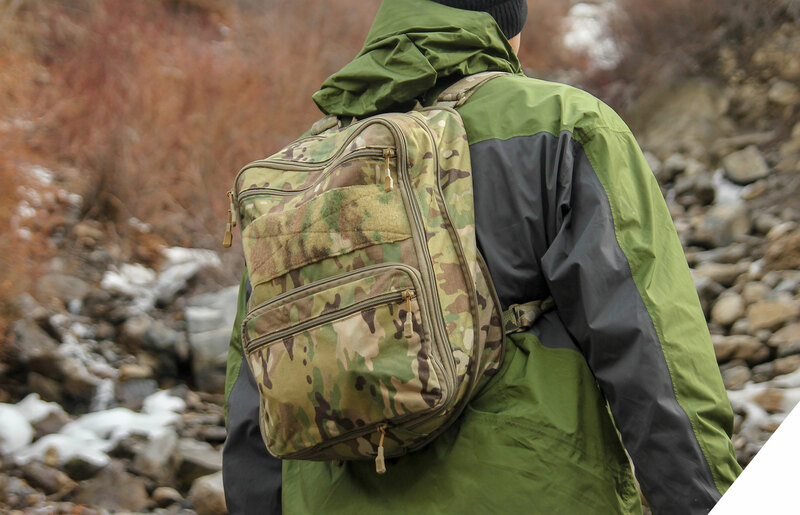 In its compressed state, the D3 FlatPack can run a 1 liter hydration bladder in the main compartment with additional small items like batteries, energy gels and chem lights stored in the dedicated admin chamber. Expanded, the main compartment can fit a fully loaded D3CR™, a helmet or a jacket while the admin can fit electronics and/or small binoculars. The FlatPack features a new chest strap to add stability and comfort while under load.